I hope that your school year is off to a fun — if not frantic — start! This is a great time for teaching — when we get to know our learners and what they’re capable of (mathematically speaking) and when we establish a solid instructional plan for the first term. This is a time of pedagogical hope and possibility! This is also a time for professional learning — the chance to develop our ability to structure engaging mathematical tasks and rich conversations for and with our students. If you are interested in adding to your repertoire of instructional strategies in mathematics, I’d strongly encourage you to attend the BCAMT NorthWest Math Conference taking place in Whistler, BC. It’s a remarkable gathering of mathematical minds — Northwest US and Western Canada’s finest teacher leaders in numeracy will be on hand, presenting their latest and greatest ideas to support rigorous mathematics instruction that addresses the diversity and richness of our classrooms. One session for intermediate: From Multiplicative Reasoning in Middle School: From Skip Counting to Algebra From 2:45 to 4:25 pm in the MacDonald C Ballroom in the Fairmont. The exhibitor’s hall will be open Thursday October 18th from 5-7 pm, all day Friday the 19th and until 2 pm on Saturday the 20th. My sincere appreciation to all of you who have waited for the publication of this book. As you know, I’ve had a pretty remarkable year. I hope you’ll forgive me, knowing that only good distractions delayed its completion! But I am pleased as punch to announce the release of Place Value For Intermediate: Building Number Sense for Grades 3-5, available now from my online store for $50. 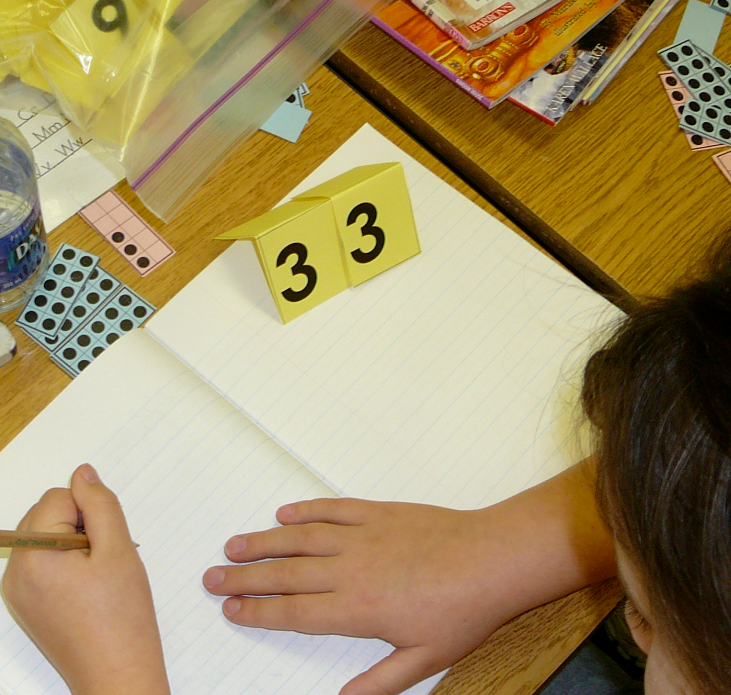 This resource for teachers of Grades 3 through 5 features lessons designed to support deep learning of number. A wide range of both open-ended and directed tasks focus on representing, describing, comparing and ordering numbers to 100 000, as well as explorations of decimal numbers to thousandths. Measurement experiences make up a big part of this series of tasks. The metric system and all of its place value connections is featured in explorations of linear measurement (mm, cm, m, km), perimeter (cm, mm), area (square cm and square m), mass (g, kg) and capacity (mL, L). Addition and subtraction of large numbers and decimals are also addressed in this volume. Lessons at the grades 4 and 5 level focus on multiplication of 1 by 2- and 3-digit factors as well as 2 by 2-digit factors using the distributive property (an area model). Assessment tasks tap into students’ understandings of these numbers and their application in the real world. Being able to see and relate to big numbers and to very small ones, to understand their relative size and to capably use these numbers to estimate is the essence of number sense. Set up in a developmental continuum intended to facilitate the teaching of combined grades, this 352 page volume is certain to contain material to meet the needs of all learners and to inspire fun and engagement with critically important place value concepts. When you buy the book online, you also get access to almost 40 pages of digital files and resources, which will be emailed to you as a downloadable pdf! I am truly grateful for the support, encouragement and professional curiosity of those of who who have visited my blog since its inception so many years ago… I am indebted to those of you who have told friends and colleagues about the blog and grateful for my “regulars” — those of you who return to it from time to time, looking for resources. Your enthusiasm buoys me up! It is indeed a great privilege to be a part of this international community of teachers of mathematics. Thank you. I’d like to share a classic game from BEAM – a website that has, unfortunately, ceased to exist in a format that is easy to navigate. Like the best of the BEAM games, Cross Over is a strategic one. Players start on opposite sides of the hexagonal game board and roll a regular 6-sided die, then choose whether to add the number shown or to subtract it. They move their counter onto a space with the corresponding sum or difference, but only if that space touches the one on which they find themselves. The goal of the game is to land on the opposing player’s start space. It’s actually easier done than said… Really! Students working on mastering addition and subtraction will enjoy playing Cross Over, and the combination of strategy and luck will ensure that everyone finds the game accessible and fun. There are twelve days of Christmas. And according to the song, there were a lot of gifts given over those 12 days. Which means there’s a math problem lurking in there! Have students think about ways to calculate the total number of gifts given on the 12th day (12+11+10+9…) or even calculate the total number of gifts given throughout the entire gift-giving season (the gifts from the 12th day added to all the gifts given on the 11th day…). Some may even apply ideas borrowed from Gauss to effortlessly calculate the sum of the arithmetic sequence. And then if you want to get especially sassy, challenge students to calculate the daily cost of giving each of these extravagant gifts! Tamara B. shared this awesome website with prices for the items given over the 12 days – including shipping and handling changes – so that you too can figure out what it would cost to give 5 gold rings, 4 calling birds, 3 french hens, 2 turtledoves and a partridge in a pear tree… not to mention financing the maids a-milkin’! The site is only updated to 2003, but at least it will provide a starting point. But better yet… If inflation has increased on average 2% a year for the last 12 years… well, the mathematical possibilities are endless! Consider checking out the Statistic Canada webpage for the actual inflationary numbers. And hold onto your calculators! Enjoy — and happy ho ho! Tonight marks the first evening of Hanukkah – the Festival of Lights in the Jewish tradition. Between candle-lighting and spinning tops, there is a great deal of math in this 8-day festival! Consider the following seasonal activities for your students in the days ahead. I hope you enjoy them! There are 8 days of Hanukkah. For each of the 8 days, a candle is lit and placed in the menorah – one on the first day, 2 on the second day etc. Sounds simple, right? Well, yes and no. By the end of each day, these candles burn out and have to be replaced, which means that there are many candles used throughout the 8 days of Hanukkah. To top it all off, each of these candles is lit by another candle, called the shamash, which is then placed in the centre of the menorah. So. If you had to buy enough candles for this year’s Hanukkah celebration, how many would you buy in all? Playing the dreidel game is another fun – and mathy – way to celebrate Hanukkah. If you’re looking for the complete rules and a bit of history of the game, click here for more information. In essence, this is a gambling game that involves a set of prizes. In the classroom, consider using counters, cubes or beads as “ante”. Players spin the 4-sided dreidel top and follow the instructions listed on each side, taking all, none or half of the pot – or adding counters to keep the game going! Even young children will enjoy playing this game and practicing concepts of addition, subtraction and “half of”. I wanted to share some fun puzzle templates with you — one set for primary classrooms and another for intermediate. Both require the same reasoning skills: students must use a complete set of 0 to 9 tiles and place them on each of the blank spaces provided. Some of the forms are more complex than others, and will require students to not only know their facts but also to reason through the logic of placing the tiles in the correct position. While students work, wander the classroom and ask them how they are making decisions about the placement of the number tiles. Students’ rationale may surprise you! Or, for a fast and reasonably inexpensive solution, you can buy the tiles in a tub of 175 from Amazon.ca or from Spectrum Educational. Both will cost about $15 for a class set. The primary puzzles (addition) are also referenced in the Daily Math Investigations file. The intermediate puzzles (multiplication) are referenced in the Multiplicative Thinking resource. I hope you enjoy them! I know your students will! Hello to my friends near and far… It has been a long time since I have posted anything to my blog, and for that I am truly sorry. To my faithful visitors, I offer you my thanks. I hope this latest instalment has been worth the wait! Beginning in the fall of 2016, concepts addressing financial literacy are being introduced to the Western Canadian mathematics curriculum. Although they have been included at the middle school level for a number of years, this is the first time that financial literacy as been highlighted in elementary — and most notably at the primary level. This raises some important questions. What is financial literacy at the primary level anyway? Certainly it is more than recognizing and naming Canadian coins! Structured instead around notions of earning, saving and spending and giving money, curricular outcomes dedicated to financial literacy are intended to look more deeply at what it means to be financially responsible. Our youngest learners need support and explicit teaching to reach these goals. Engaging, authentic and meaningful tasks are critically important. Learning about money should be fun, of course, but should include notions of social responsibility — earning, saving and giving — as well as spending! In this new resource, Sandra and I have crafted a series of lessons to support teachers in introducing and developing ideas around financial literacy in Kindergarten through Grade 3. Currently there are few — if any — resources devoted to these ideas for primary students. We are hopeful this resource will fill that need! Rich tasks, literature connections and games for practice in this resource are laid out along a continuum and are intended to be used across grades. In alignment with our new curriculum, these lessons are connected to both the core competencies (Thinking, Communicating and Personal and Social Responsibility) as well as to the curricular competenciesfor mathematics. By integrating financial literacy into our math program in primary, we create meaningful contexts for the math we are learning. Think of the mathematical expertise our students will build as we represent and describe money amounts, compare and order values, skip count with coins and bills, use place value understandings and add and subtract dollar amounts! This teacher resource is structured around a set of Big Math Ideas for earning money, saving money and spending and giving money. These enduring understandings apply across the primary grades and beyond. By addressing these Big Math Ideas in developmentally appropriate and engaging ways we can ensure students have fun while they lay the foundations for ensuring financially responsible decision-making. Sandra and I hope that this resource proves useful to you and fun for your students! To download the materials, visit my online store (https://mindfull.ecwid.com) and click on the FREE DOWNLOADS icon. In Kindergarten and Grade 1, students need practice subitizing. That is, being able to recognize at a glance and name familiar arrangements of objects without counting. It’s an important precursor to estimation, skip counting and multiplication, and depends on students’ understandings of conservation — that 5 is 5, no matter how it is arranged. In this simple partner game, students roll a standard die and then find a cell with the same number of dots. They cover the dots with a counter in their colour and then give their partner a turn. Three in a row in a single colour wins the game. Small groups or even the whole class can play the Bingo version of this game. Each student needs a bingo card and a small handful of counters in a single colour. Have the “caller” roll a die and call out the number to be covered. As in traditional Bingo, three in a line (across, down or diagonal) wins the round. Click on the links below to download the partner game and/or the Bingo version of this game. My colleague Sandra Ball and I have completed another resource for primary teachers! Read A Story: Explore The Math promotes the teaching of important math concepts through the context of great children’s books… The lessons span K-3 and some are even appropriate for grades 3/4 classrooms. Lessons involving number sense and operations, data management, measurement and more are included in this 65 page resource. Scan through the list of titles and corresponding math concepts to sort out which children’s books would be a best fit for you and your students. The complete set of ISBN numbers for each of the stories is included so you can easily share ordering information with your teacher librarian…! To download, please visit my online store (https://mindfull.ecwid.com) and click on the FREE DOWNLOADS icon. For those of you who have been looking for some of the teacher resources and student materials that I have used in my demonstration lessons, I’ve opted to try and put a collection of them all in one post… This collection of materials are intended for teaching place value, for use in lessons involving partitioning (addition, subtraction and multiplication), for comparing and ordering whole numbers as well as decimals, and for the teaching of fractions. As you’ve seen modelled in the lessons I’ve taught, these materials work best in concert with visuals (ten frames, base ten blocks, etc) and with plenty of opportunities for students to write equations, describe their thinking orally, build with models and create real-world situations to match. 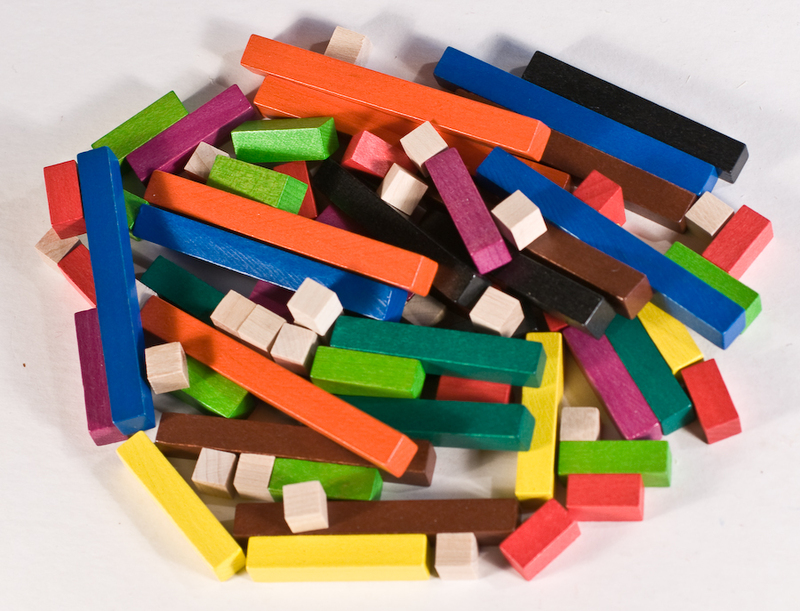 The money and Cuisenaire Rods are best printed in colour, of course. I’d recommend sending the pdf’s to Staples.ca for printing. You can specify the weight of the paper (I like 80lb gloss cover) – and they’ll have the materials ready quickly for a reasonable price. Consider putting magnetic tape on the back of these materials to allow them to be displayed on the white board. Check out the dispenser of magnetic tape available from Poster Pals. It’s great stuff! I hope these prove helpful. Sandra Ball and I have been at it again! We have just put the finishing touches on another assessment tool for use in fall of the year. It’s a companion to the other “What Do They Know” assessments featured above, but are designed for students in grade 2 and 3. Focussed on place value, partitioning and skip counting, this tool highlights number sense and the operations. The tool is administered by the classroom teacher and involves the whole class and small groups. If you’re interested in piloting these materials, please go to my online store (https://mindfull.ecwid.com) and click on the FREE DOWNLOADS icon. I hope it proves helpful to you in getting to know your learners and what they’re truly capable of!